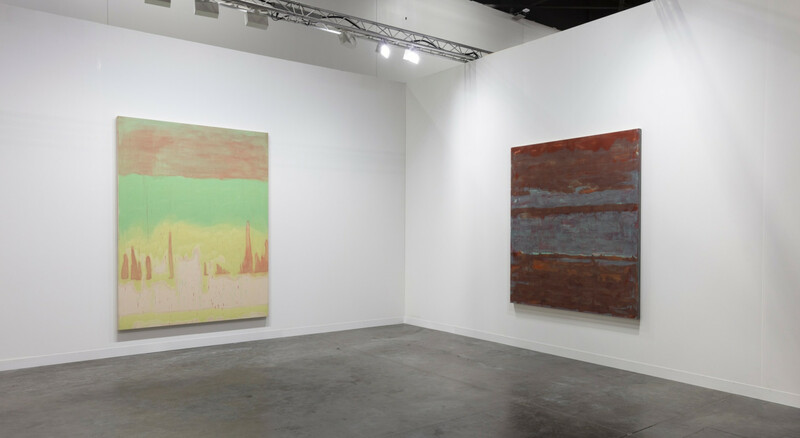 Hales is delighted to announce its return to Art Basel Miami Beach for the fair’s 2018 edition, with a solo presentation of historic works by American artist Virginia Jaramillo. Painted in New York in the 1970s, these three monumental paintings have never before been publicly exhibited. 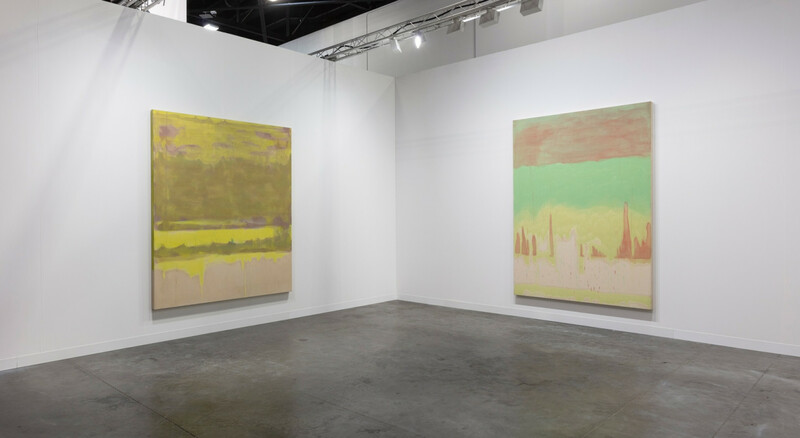 Exemplary of the artist’s early use of Earth pigments and watermarking processes, layered washes of paint create a deep, sensory space. Born in El Paso, Texas, Jaramillo spent her formative years in California before relocating to New York from the Watts Area of Los Angeles following the Civil Rights protests of the 1960s. Living and working on Spring Street in New York’s Soho and involved in the burgeoning and dynamic art scene, she developed lasting ties with art world figures such as Melvin Edwards, Dan Christenson, Kenneth Noland, and Frank Bowling. Jaramillo’s work evolved in response to this environment of bold creative experimentation, particularly in the field of abstraction. This series of stained works see a break from Jaramillo’s previous endeavour to create smooth and pristine surfaces. Instead, thin washes of paint are applied, developing a process of embedding colour into the canvas, echoing the use of different materials Jaramillo began experimenting with in 1979. The resulting experience of the considered layering of translucent colours in Epsilon Endi (1978), Indo 3 (1975), and Altotron (1976), transports the viewer beyond the painted surface, evoking cosmic or metaphysical planes of existence. In Jaramillo’s work multiple cosmologies exist, and the titles she assigns to the canvases take inspiration from Greek mythologies, pre-Hispanic and non-Western systems of organisation, and classical and sacred geometry. Underlying the work is an understanding of space, surface and the organisation of the world around us. 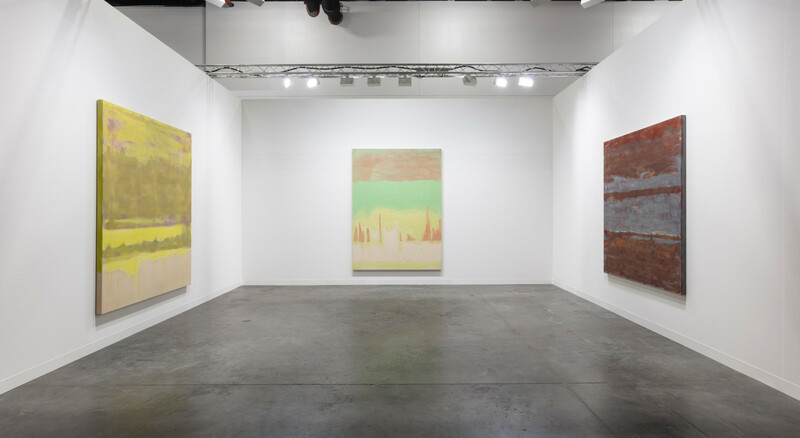 Preceding Art Basel Miami Beach, Hales New York opens Foundations on 18th October, a solo exhibition of Virginia Jaramillo’s most recent body of work made in 2018. In this new series, Jaramillo returns to painting, utilising diverse brushstroke techniques to build rich, varied textural surfaces which distinguish fractured and fragmented forms. Jaramillo’s work has been featured in numerous solo and group exhibitions at prestigious institutions, including the Los Angeles County Museum of Art, Los Angeles (1959–61), Whitney Museum of American Art, New York (1972), Mexican Museum, San Francisco (1980), A.I.R. Gallery, New York (1984), Hammer Museum, Los Angeles (2011), MoMA PS1, New York (2012) and the Brooklyn Museum, New York (2014). Selected public and corporate collections include the Aldrich Museum of Contemporary Art, Richfield, Connecticut; Metropolitan Museum of Art, New York; Mexican Museum, San Francisco; Pasadena Art Museum, California; Kemper Museum, Missouri; Spencer Museum of Art, University of Kansas and the Museo Rufino Tamayo, Mexico City.